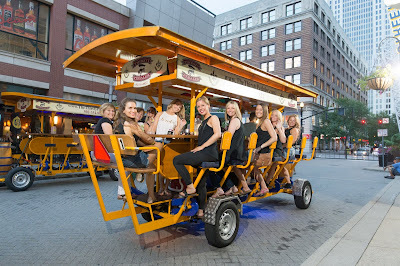 This blog dedicated to cycles/bikes and the variety of uses they have around the world. Being a keen cyclist and having previously worked in a cycle shop it is only natural that my interest is reflected here. Seen parked up near my home is this very old and well used saddle. It looks like a brooks make biit I couldn't tell as it had nmo marking from wear. 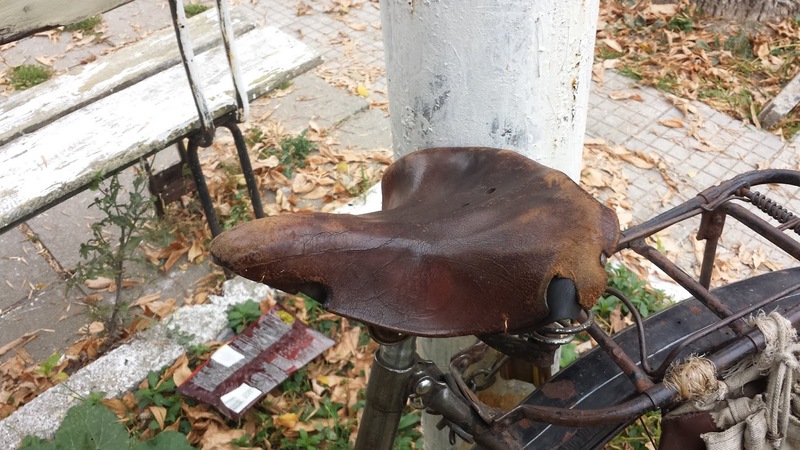 If you think the saddle is old and well used, the bicycle it sits on is probably the same age. As with all things in Bulgaria, age doesn't matter as long as it works. A a favour for a friend who had this bike parked outside for 10 years unridden, I decided to renovate it and get him back on the road again. After stripping everything, degreasing, cleaning and regreasing and fitting new cables and other bits and pieces here is the finished project. 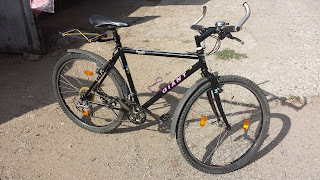 This retro Giant T-Rack was made in the early 1990s over 25 years old, but looks like new after the work I put in. 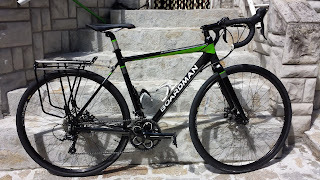 Brought over to Bulgaria with in in 2017, my 2016 model Boardman Comp purchased from Halfords in Cricklewood London has served me well over the last 18 months. Built for Cyclocross racing it is ideal for Bulgaria roads with their potholes and rough terrain. I don't' think a road bike would last on these roads here from my experience. 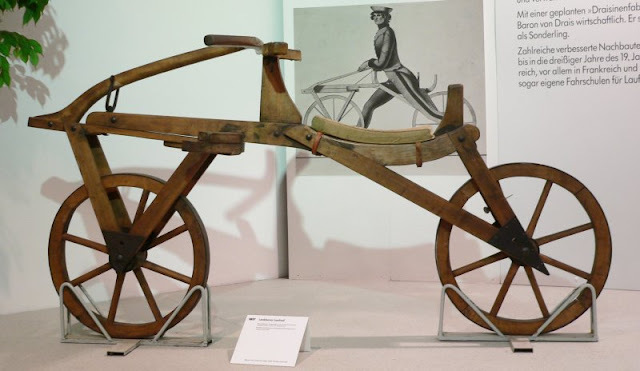 Well it is recorded as the first officially verified oldest bicycle in the World. 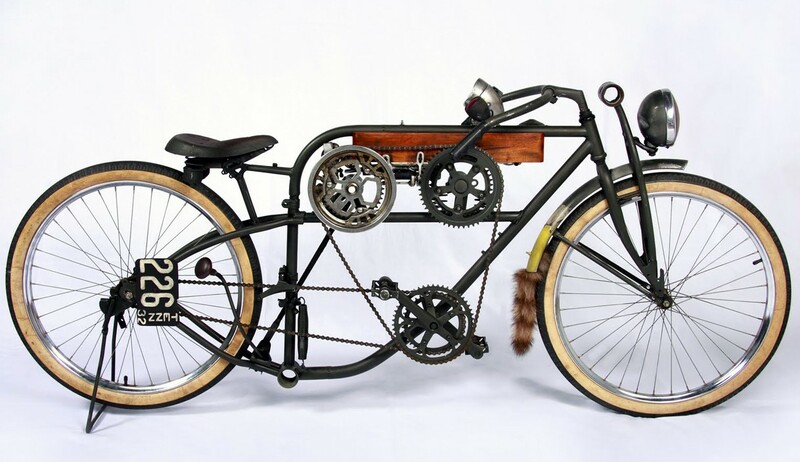 The bike belongs to German Baron Karl von Drais, a civil servant in Germany. It was made in around 1817 and was named Draisine by the media at the time. This form of cycling has been around for quite a while now and a novel way have a party with friends doing something quite different. However there have been moves to ban this form of socialising because it was becoming anti social. Groups get drunk and start abusing passers by. they are effectively a liability to the public on the highway. There is something quite wrong about drinking and driving, albeit the driver is not under the influence. Shame that certain parties spoilt it for other parties so to speak! Really don't know what to make of this. It has the feel of a pedal motorcycle but the only real motorcycle element if that front headlight and back swung handlebars. Love the raccoon mud flap on the front wheel. More a work of art than anything else I guess. Well I've had this bike since buying it new from Halford in 1992. Put dropped handlebars on, gave it three coat os Hammerite and set it up for a hybrid tourer, two of which I completed up and down France. Brought it over to Bulgaria in 2005 and lent it out for over 10 years. Now back in my hands this year. 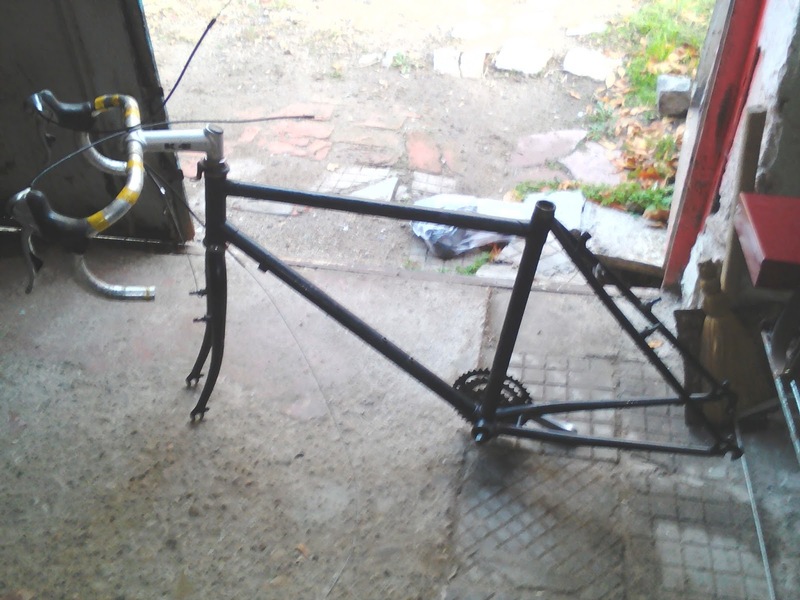 Stripped it down today and will be giving it a new lease of life as a hop around town bike. 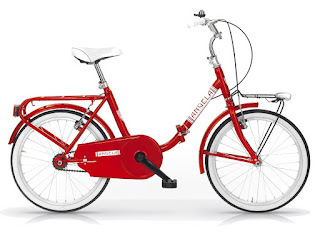 Lovely little stylish fold up bike made by the Italian bike manufacturer MBM. Love the covered chain, pity more don't come with this option as it makes cleaning the chain less frequent and we all know how messy that is. Retails for around £180-£200. Italian Ferrari red is an eye catcher as well. Bought this in London and used it for commuting and many runs, ideal and loved every moment. My move to Bulgaria was the end of the Brompton Romance, it just would not have survived the ragged cobblestoned street that frequent the town I now live it. 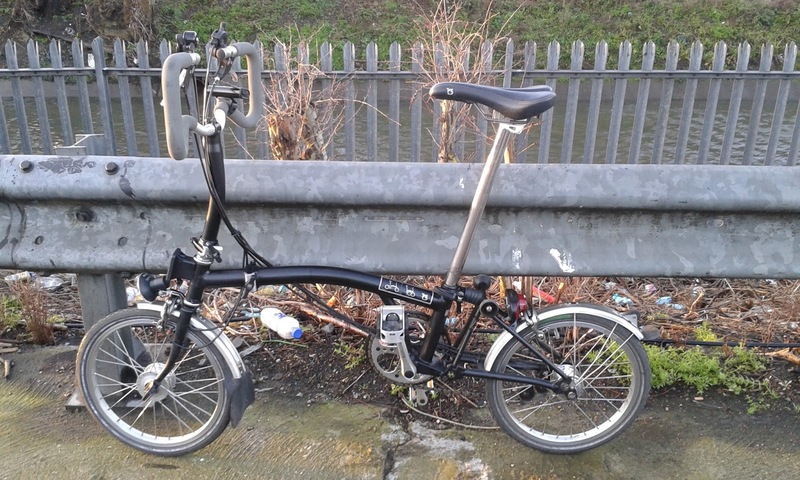 Some other Londoner is now enjoying the commute on my ex-bike. 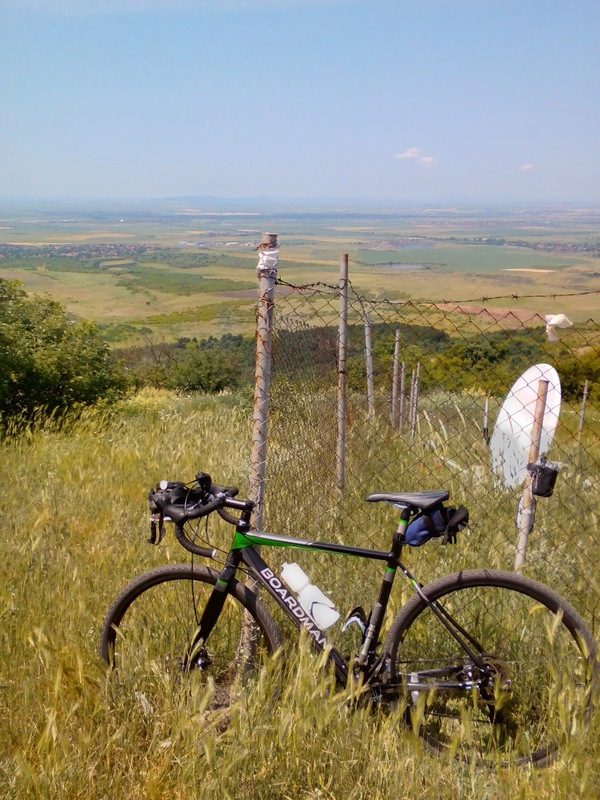 Cyclocross bikes are perfect for Bulgaria with the state of many roads. that is exactly why I brought this over from the UK now settled in Bulgaria permanently. I can safely say that this is the only one in Bulgaria as it cannot be bought in Bulgaria. The nearest agent in in Cyprus! 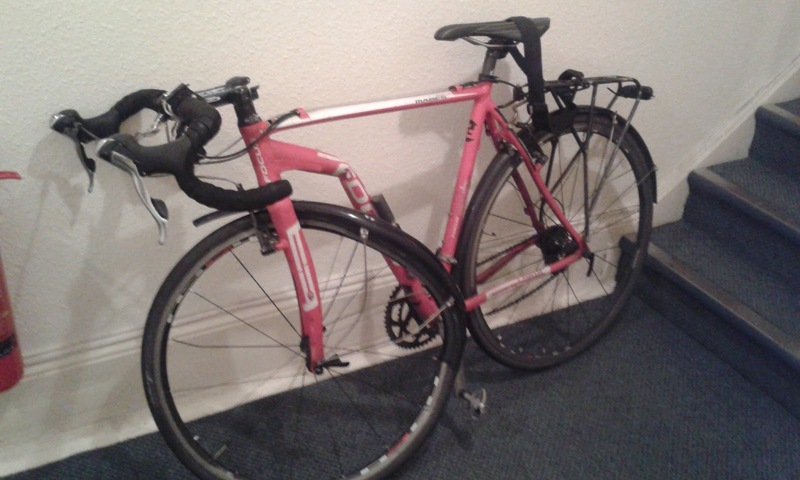 My bicycle after someone hit me head on on the 7th September! I commute to work on a daily basis in all weather conditions. This particular day was unfortunate on the road as I was hit hard and catapulted over a car that had been put off course by a rogue van! After being shipped to hospital in an ambulance I am still recovering over a month later. Wouldn't wish this on anyone. 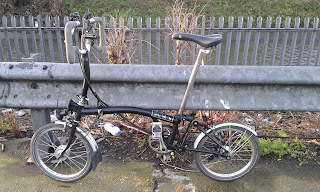 I bought this earlier in the year to commute to work and back and was the first time I had experienced a fold-up bike. The novelty soon wore off as climbing steep off road gravel hills just didn't hit the mark with this bike. It was clear the bike wasn't designed for this type of terrain. I subsequently sold it (for a profit I might add) which was a shame as I love the concept of the bike which was stored in the boot of my little Nissan Micra! Well it's mid-summer, but thoughts are firmly on how to get to work on my bike when winter comes. 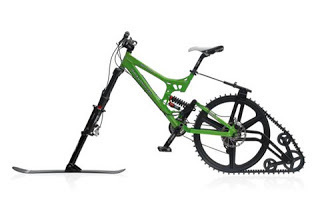 Weather is becoming more extreme, but it would never get tot the stage where I would require a snow bike like the on exampled here. I just wouldn't turn up for work rather than try and ride this contraption in. KGS Bikes – My gears are bigger than yours! We offer a variety of camping gear, and outdoor camping equipment, great to have on hand whether you are fishing, hiking or just having a relaxing Camping Trip. Shop safe and at ease with us.